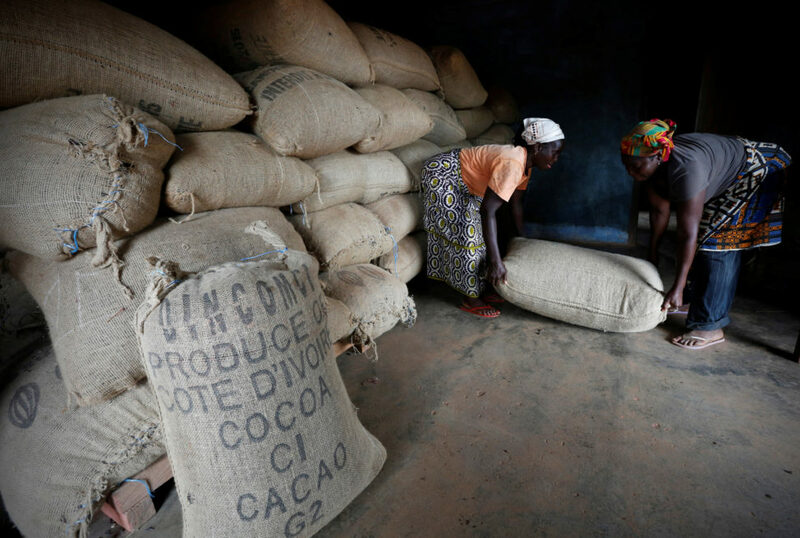 Blockchain, the technology underlying digital currency Bitcoin, is making it easier for Sub-Saharan African women farmers to establish their economic credentials and negotiate gender bias. When Ashish Gadnis, CEO of the financial tech company BanQu (pronounced “bank you”), was in the Democratic Republic of Congo in 2014, one of the women farmers he worked with made a little money on her harvest and wanted to open a bank account. She couldn’t because of what Gadnis described as “dinosaur laws that [require] a male co-signing” for her. To address the problem, BanQu uses blockchain to establish economic identities and proofs of record for people in extreme poverty zones. Blockchain is a decentralized, trust-based ledger that lets all concerned parties verify their transactions by consensus. Instead of keeping multiple, separate balance sheets, all parties to a transaction can enter the record into a “block.” Once it is verified by consensus, it’s added to the “chain” and cannot be altered. According to Gadnis, women farmers, migrant workers, and refugees who get aid from the United Nations or international non-governmental organizations, such as training and microfinancing, often don’t have access to that information. With a blockchain profile that establishes ownership, business assets, and production values, the farmer can access her records using a mobile phone to present “proof of identity” or ask her bank to do so. That “is extremely empowering in Sub-Saharan Africa,” said Gadnis, because it opens up access to finance, gender equality and various other opportunities for women and minorities. The approach could also improve microfinancing terms for women, once they are more visible on the supply chain. While acknowledging that blockchain can peel away a layer of gender bias as it removes intermediaries from the equation, Forman said implementing it can be tricky and time-consuming because all parties to a transaction have to agree that the blockchain ledger is the source of record. These records, such as land ownership deeds, typically are controlled by governments. “You’ll have to get through the bureaucracy to be able to make that the way that it’s done,” he said. But once these challenges are met, Forman said the blockchain ledger, which cannot be falsified, will benefit landowners by cutting back on corruption and bureaucracy, and improving production and economic input. For Gadnis, there is also a humanitarian value to blockchain that should be acknowledged. He said while only a handful of companies, including BanQu, are applying blockchain to developing countries, the technology can empower people in poverty and refugee zones by putting key parts of their information in their hands.